Paul Crane and scout Dave-Te' Thomas get ready for Black Monday in the NFL. From expected coaching changes to some unexpected moves get ready for more unique insight. The big name who has already told one team "no" to others starting to materialize, such as Pat Fitzgerald and Matt Campbell. Could Ravens head coach John Harbaugh get traded? 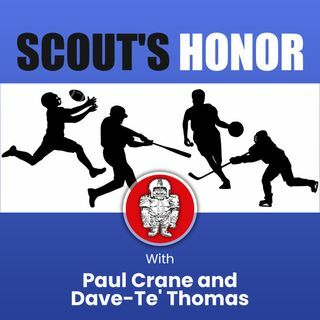 The future of Odell Beckham in NY and other news, including Dana Holgorsen leaving WVU for Houston and Kyler Murray's future are all part ... Más informaciones of this Scout's Honor podcast.